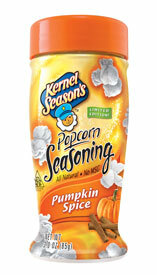 What we thought: Who knew that pumpkin and popcorn actually tasted good together?! I expected the Milk Chocolate to taste super yummy, but I was pleasantly surprised by the Pumpkin Spice flavor. After a thorough review, we also found out these seasons taste delicious on ice cream and in coffee and hot chocolate. What a great way to infuse the holiday spirit than adding some of the seasons best flavors to your snacks and drinks! It couldn't be any easier:) ABCD Diaries gives Kernel Season's an A+! I'd love to try these flavors! I'd be pumped to try either one! I didn't know these flavors were available... fun! These flavors sound wonderful! I would love to try either one! Would really like to give them a try our local grocery stores carry only a partial line of your seasonings. 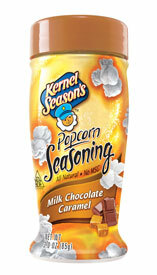 Kettle corn, White Cheddar are what we see most, either that or empty shelf space where they usually are stocked. I would love to try both flavors. Haven't gotten to try them yet. I would love to try both flavors. They sound really good. I've always wanted to try these. I'd like to try them both. Your post title says there's a giveaway. How do we enter?